If you launch an affiliate programme you will need to ensure that you have a tracking solution in place. One of the most popular solutions is to work through an affiliate network. 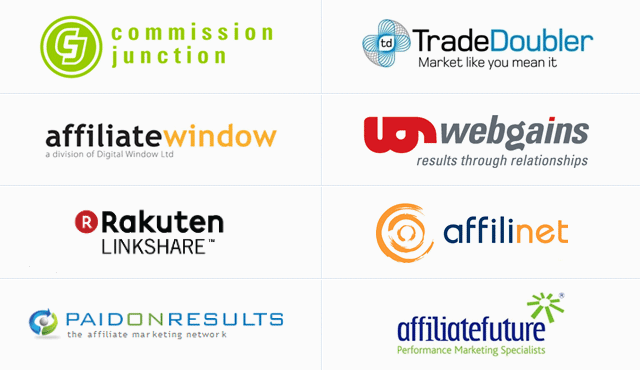 Affiliate networks essentially act to facilitate relationships between affiliates and clients. The basic service they offer is tracking and payment of sales - but affiliate strategy, reporting and affiliate recruitment are also available depending on the service level you require. I thought it would be helpful to outline some areas I recommend considering when making the decision on which network to use. The first question marketers ask. Naturally! This will most likely be one of the main areas for you to consider because of affiliate marketing’s performance-based payment structure. Most networks will take payment on an override arrangement. The override is typically set at a percentage of the total commission. Let's take an example. If you paid 10% commission and an affiliate drove £100 in sales, the affiliate would get £10. The network would get an override based on the commission, so if they got a 20% override, they would get £2. Overall the cost to you would be £12. So it is therefore important if you have a large-scale programme to ensure that you have a competitive override in place. The override you pay may be directly linked to the level of service you get, so you might reduce the override but get a lower SLA (service level agreement). Networks might charge a monthly management fee in addition to an override as well as a set-up fee. It is therefore worth making sure you are aware of all the different costs that you could incur to get an overall picture of how competitive their offer is. The most obvious place to get an idea of the level of service they offer. If you see a selection of good brands it gives you more confidence in their ability and reputation within the industry. You can also get an idea of their specialisms. For example, if your company sells office furniture you might be tempted to go for a network that has plenty of B2B programmes as they might have a better selection of affiliates in that sector. Payment is an important part of affiliate marketing due its performance-based nature. You should therefore check to see how regularly they pay affiliates and read up on their payment history. You might find that some affiliates may be less keen to work with some networks if they have a history of late payment. It also reflects on your brand if there are delayed payments so this should be an area you explore. Forums and Google can be useful to research into the network and any payment issues they might have had. Another way to get an idea of the quality of their work is industry awards. Award events, such as the Performance Marketing Awards, celebrate the best work in the affiliate marketing industry. The network-based awards include best network, best publisher support and best advertiser support, which are voted for by people working in the industry. This therefore gives you some indication of the networks’ standing, but shouldn't be used solely to make any decisions upon. The technology that the company uses will also be important to you. You want to use a network that has good reporting. Having reporting systems that are easy to get the top line figures can save you time, but also allow you to easily monitor performance. You will also want to check that you can get the information you need to make decisions on your affiliate strategy. Is there the possibility to track different products or sections of your site so you can pay different commissions on each? This could be important to you as your margins might be higher on one product than another, so this could make a more attractive proposition to your affiliate base. You should consider additional systems they have in place. Some networks specialising in finance offer product tables for finance clients, and white label the technology to allow affiliates to promote more effectively. You might also want to look at how they are approaching mobile tracking and how they are working with clients in this area. The service level agreement (SLA) will also affect your decision. Do you have someone in-house who can manage the programme? If not you might be keen to have an account manager completing tasks for you. Examples of some tasks would include weekly reporting on the programme performance, checking and changing affiliate commissions and monitoring the programme for any irregular activity. The SLA should outline the areas that you and the network would be responsible for. Will the network help you with affiliate recruitment? If not, how easy is it to find affiliates on their network? Some networks have created affiliate directories that allow you to easily look for affiliates that promote in different sectors. What do affiliates think of the network? The last point would be to check what affiliates (yours or those assisting competitors) think about the network. You want to work with networks that affiliates are working with and are set-up with. They will also be honest with feedback on the networks they prefer to work with. Some affiliates could have exclusive arrangements with particular networks, or might not be integrated because they have not promoted through that network before. Using affiliate forums, such as A4u is a good way for you to gauge the feeling within the industry about particular networks. The above checklist hopefully gives you some of the areas to consider before you appoint an affiliate programme. The list isn’t exhaustive – something else to consider would be which territories they cover - but it gives you a good guideline of the questions to ask that are important for your programme and would help you get the best network to suit your programme.